BRUNSWICK, Maine – The Peary-MacMillan Arctic Museum at Bowdoin College created a Robert E. Peary doll several years ago and encouraged people to take the dolls around the world. Now Peary is getting a travel companion, just in time for the holidays. Henson, credited with being a co-discoverer of the North Pole with Robert Peary . 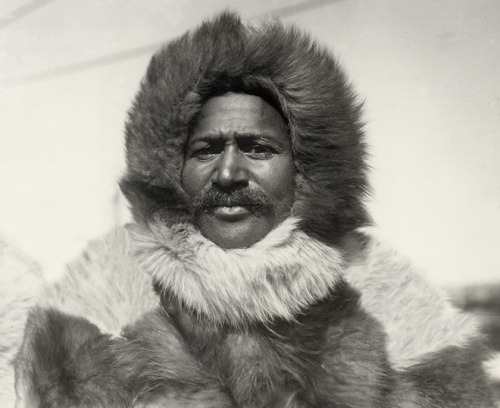 The museum staff commissioned a doll depicting Matthew A. Henson, who was a key part of the famed North Pole expedition in 1909. Henson was a talented sledge driver who spoke the Inuit language fluently but was denied the recognition he deserved at the time because he was an African-American. The new Henson doll is dressed in a faux “fur” parka and “sealskin” pants and boots. Owners of the Henson and Peary dolls are encouraged to take them exploring and to send photographs to the Arctic Museum for posting online.